"Roses get dead, candy's fattening, too, light up some romance, with a candle from you!" ;-) The ceramic bowl is hand-made from creamy white clay and coated with a lead-free clear glaze to show off the "kiss" and "hug" engravings. 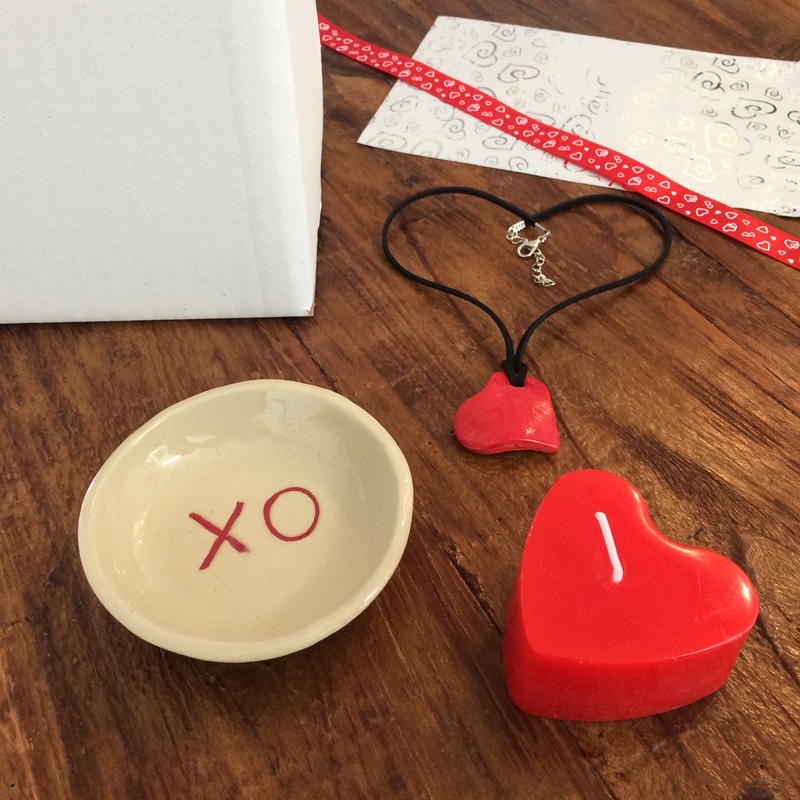 Along with the twice-fired dishwasher-safe "stoneware" bowl is a custom-made heart candle, lightly-scented with "Provence," a special blend of lavender, patchouli and vanilla. (The candle has a burn-time of about 5-hours.) 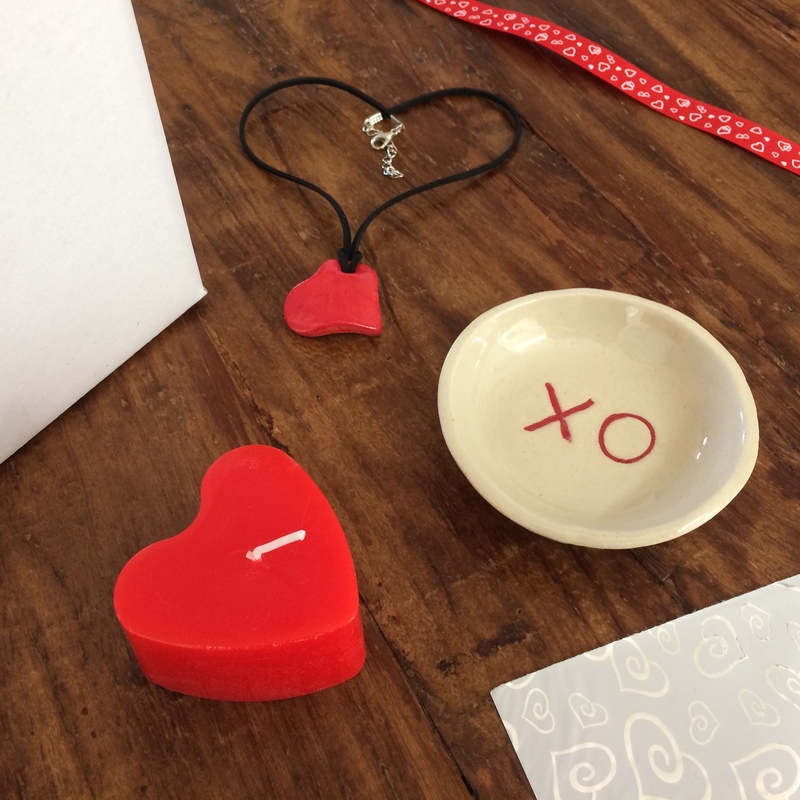 Also included in the box is a handmade heart pendant necklace (a $21 value). Shipped with love from Israel's Mediterranean seashore.